TBWA\London has brought on Sara Tate as chief executive as the agency rounds off its new management line-up. Tate, who has been a partner at Lucky Generals since March, will move to TBWA on 3 October. She will join on the same day as Andy Jex, the new chief creative officer, and Anna Vogt, the chief strategy officer, who were both appointed in July. Tate, Jex and Vogt will report to Lucky Generals founding partner Helen Calcraft, who will serve in the additional role of TBWA UK Group chief executive. 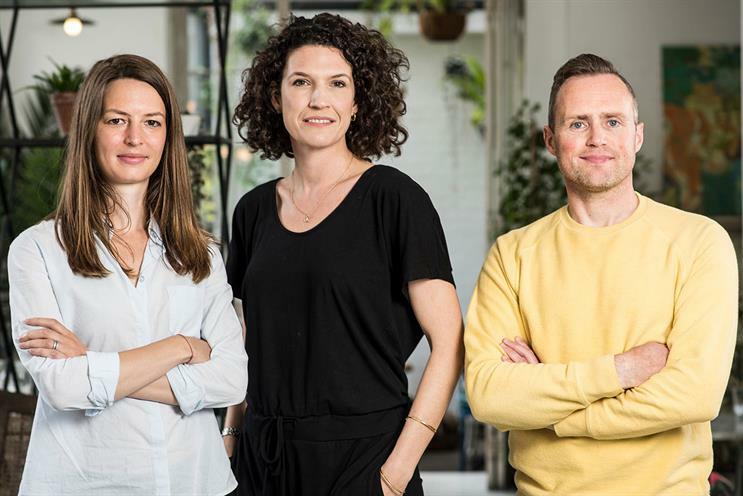 Calcraft and Lucky Generals co-founders Andy Nairn and Danny Brooke-Taylor led the search for the new management trio following TBWA Worldwide’s acquisition of a majority stake in their agency earlier this year. The deal resulted in the new TBWA UK Group consisting of TBWA\London and Lucky Generals. TBWA\London’s managing director, Brian Swords, and global creative director and chairman Peter Souter will continue in their respective roles. Tate started at Lucky Generals around the time of its sale to TBWA Worldwide, leading new business. She previously spent 10 years at Mother London, where she worked with Brooke-Taylor and Jex before he became executive creative director of Saatchi & Saatchi London. She joined Mother in 2007 as strategy director and rose to managing director in 2013. Last year she announced she would not return to the agency after completing her maternity leave. Tate told Campaign she has long been an admirer of the TBWA brand and was "instantly excited" by the prospect of the chief executive job. "It’s one of those brands that creatively minded people root for," she said. "It’s a brilliant brand with massive entrepreneurial spirit, but at the same time it has the support and opportunities that come with a network. It’s a killer combo." Calcraft said: "As you'd expect, we're firm believers in the power of a close team. So when we saw how well these three got on, we realised there was a unique opportunity staring us all in the face. Sara’s track record makes her the perfect candidate and we all look forward to working with her in this new guise going forwards."